Although I am all about the low low prices, I still appreciate quality items that offer good value, which ties in nicely with my insatiable need to keep it fresh and interesting in the wardrobe and my resultant love of things that can do double, triple or even dodecahedral duty. Enter this frankly amazing piece of jewellery from Maria Nicola, the 10 Way Necklace. 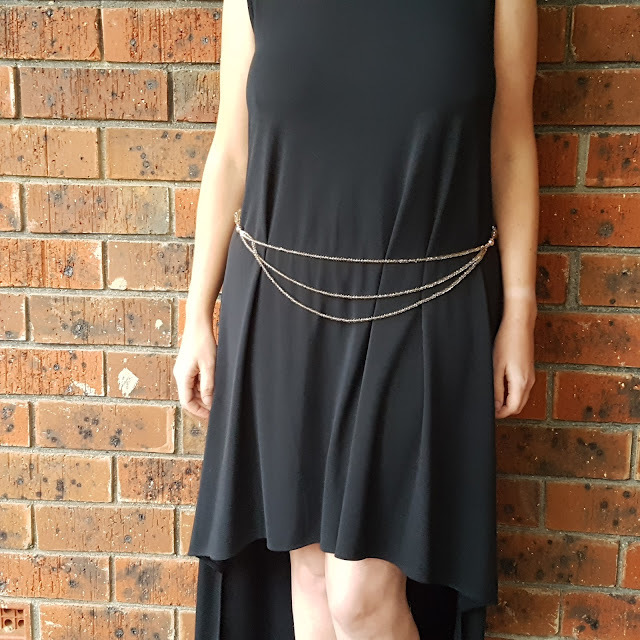 Normally I would be a bit suss on an item that promises so much in the way of something out of an Innovations catalogue but having had a few days to wear and experiment with the one I was kindly sent, I can assure you it TOTALLY delivers. 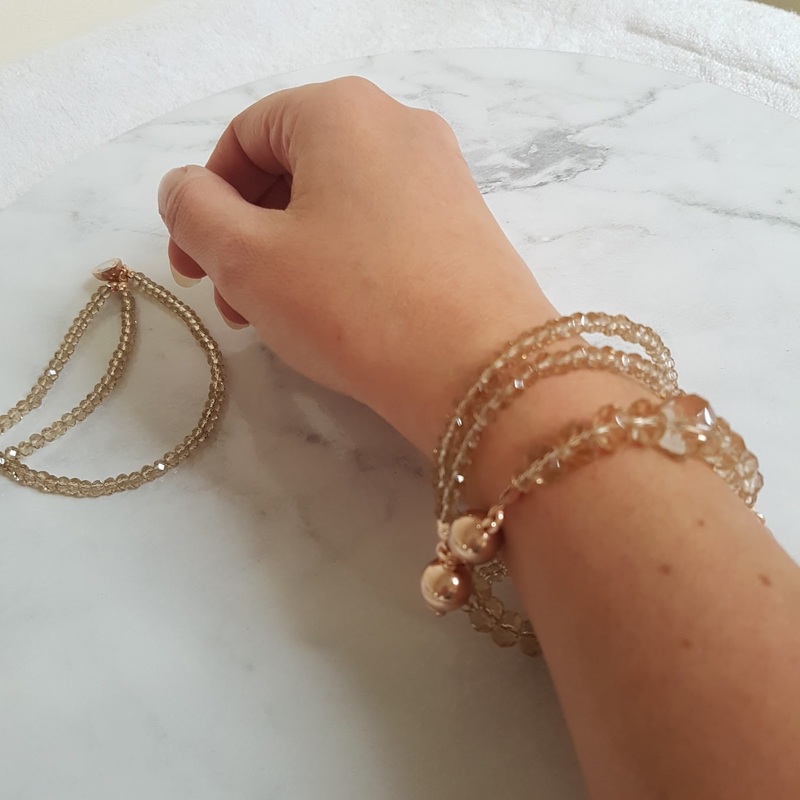 I chose the champagne crystal with rose gold magnets and it's easy to see why it's one of the most popular colours because it is SO pretty, not to mention bang on the rose gold trend. I see no signs of this trend abating and I am riding it all the way with no apologies. 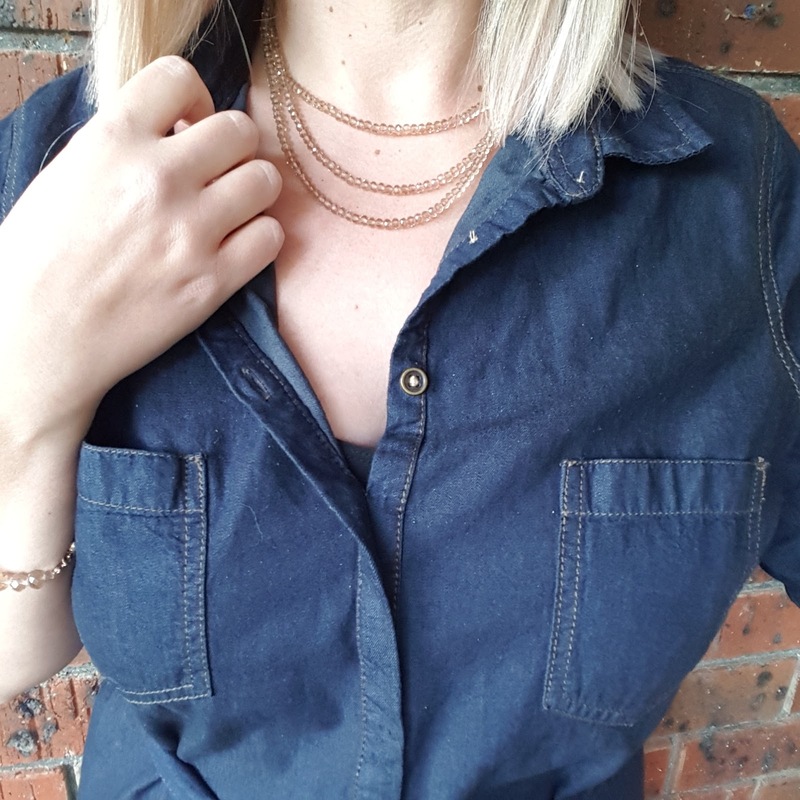 The necklace is made up of four separate pieces; two beady short bits, a single strand and a triple strand of smaller beads that fasten with magnets in a range of different configurations, allowing you create looks to suit your taste, neckline and occasion. 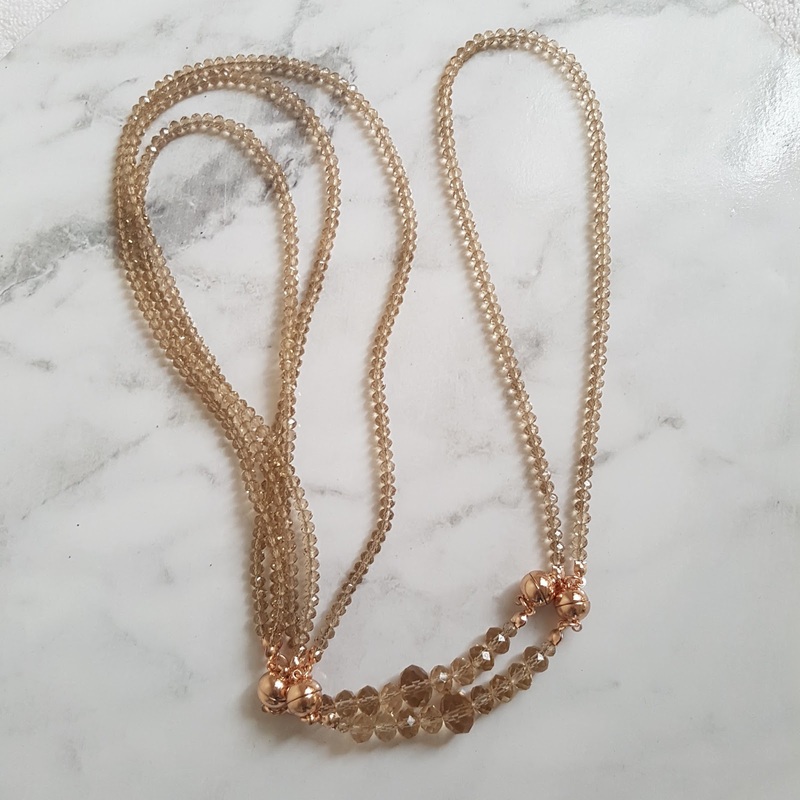 Naturally, I have set about wearing it in some of the prescribed ways, available in a booklet in the box the necklace arrived in, on the website or by using the 10 Ways app. Here's some examples. Naturally, I had to try and think of more than 10 ways to wear it. These are not endorsed by Maria Nicola and I take no responsibility for any loss or damage! 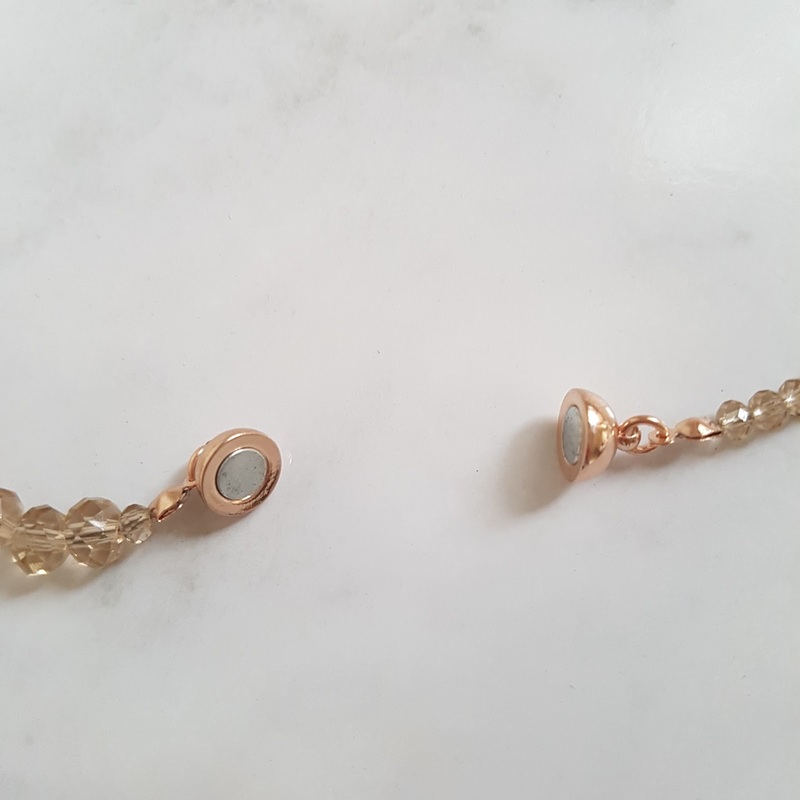 I had some flat rose gold metal studs that turned out to be magnetic . . .
And what about a jazzy belt to liven up a plain black dress? I imagine if you had two, you could also mix and match different bead combos to your heart's content! There are also (real) earrings and other optional accessories available to complement the range, including attachable Swarovski pendants and crystal tassels for even more jazziness. Slide the magnets gently apart, don't yank at them. When latching behind your neck, try not to catch any stray hairs because it kind of hurts. Keep all the bits together in the special box so they don't go walkabout or get stuck to random metallic objects. Not suitable for children because they'll run off with it and you'll need a bribe to get it back. How perfect would it be for travelling? One necklace, multiple looks, save that space! Give as a gift - it's like giving 10 items at once and you will be much loved for it. 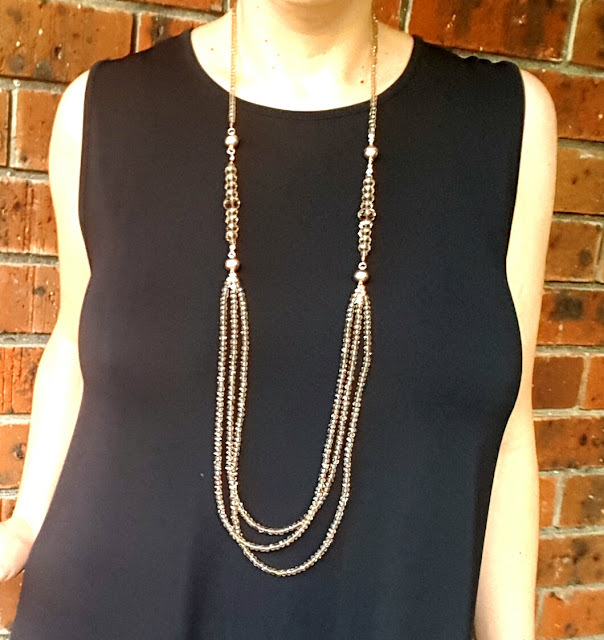 I'm pleased to tell you that not only is Maria Nicola Jewellery an Australian business (yay!) 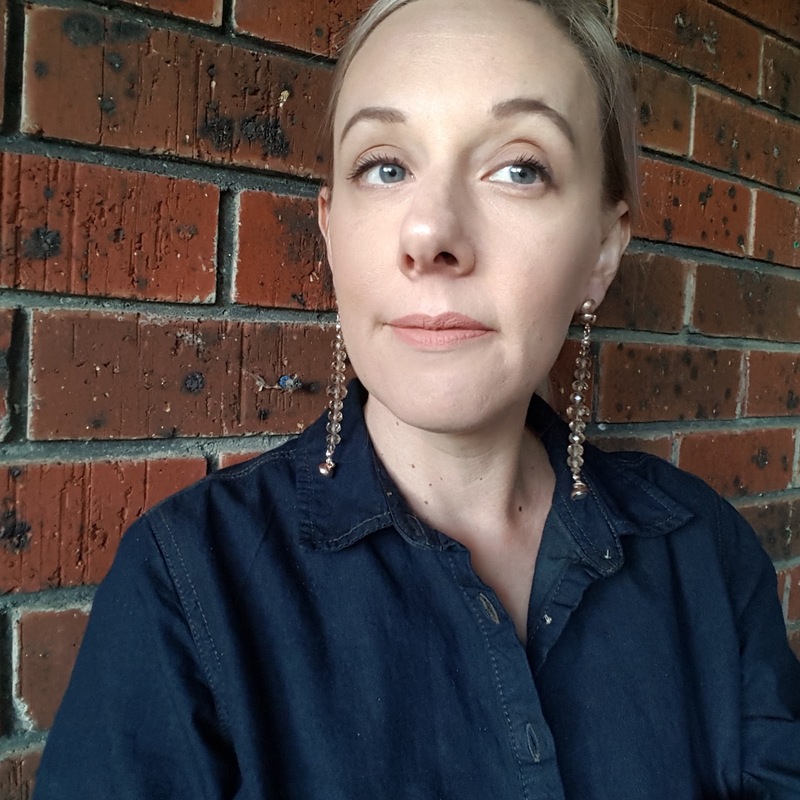 but Maria herself will be appearing on Shark Tank tonight (22 June) on Channel 10 so tune in to see her in action or catch up later via TenPlay. To celebrate this fact, she is offering a special 10% off the necklaces, so get in quick. You can support local by shopping via the Maria Nicola website or if you're overseas, she is also available through Amazon USA. For your chance to win one, head over to see Em at The Illusive Femme for her giveaway! 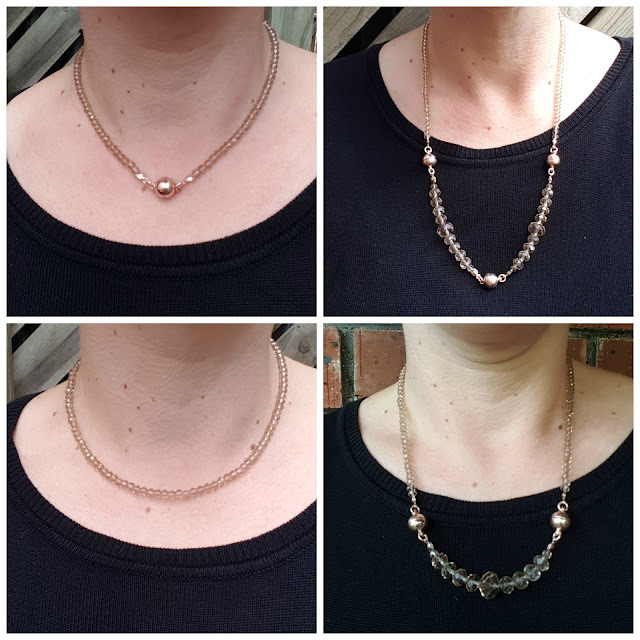 Would a 10 Way Necklace be your sort of thing? The 10 Way Necklace was kindly gifted for my review. All images and opinions are mine and for reals. Please see my PR and Media policy for more information.